Reaching the par-5s in two is my first priority when it comes to my fairway wood. A close 2nd is hitting the green from 200 yards out from the rough. And finally when you have a wood in your bag that you have tremendous confidence with, I like to use it off of the tee for those tight driving holes or the first tee jitters. Thanks to technology, woods have become a lot easier to hit. The main thing I look at is the loft and the shaft. Be choosey and make sure you get something that fits your ability and fills you full of confidence. High Handicappers – Pick out something with a fairly large clubhead, but not too big. My dad recently got the Nike SQ Machspeed and he loves it. It has a square head like the driver, but it’s more streamlined. I’d recommend a high loft like 19 or 21 degrees. The Callaway FT-IZ is another good choice. 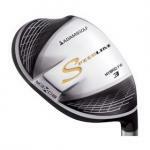 The triangular shape is easy on the eyes and gives the club tremendous forgiveness. Middle to Low Handicappers – Pick something that is more compact and workable but still forgiving. 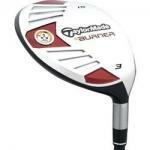 I like the TaylorMade R9 for an adjustable clubhead and the pull face construction. The sharp shooters will like the Titleist 909F3. It has a small but deep face. 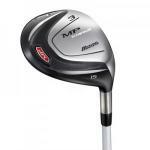 The Mizuno MP Titanium is a gorgeous club as well. 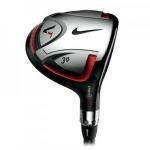 It has a more penetrating ball flight and is the best driver substitute of all the woods in the category. The G10 5-wood from Ping has a low profile and a longer-than-average head from heel to toe. This design is reminiscent of the original Orlimar fairway woods from the late '80s. When you think of notable fairway woods, Mizuno is not a name that often comes to mind -- at least not the same way it does about their player irons. However, they do make fairway woods, and the F60 is one of those entries. 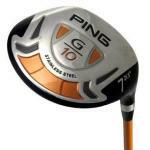 As a successor to the popular G15 model from Ping Golf, the new Ping i15 3-wood is expected to be an improvement. For those looking for Tour-caliber performance, you won't be disappointed. 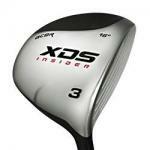 Typically, I think of Mizuno clubs as being for the lower handicappers, and this 3 wood is no exception. It's a beautiful club designed with playability in mind. This is Callaway's highest MOI fairway wood. It's triangular-shaped for aerodynamics and has a very hot face. The designers have taken a stainless steel face and frame and merged it with a carbon-composite crown. They added weight plugs in the toe, heel, and rear. 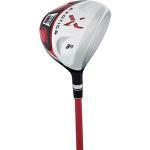 This is a Titleist fairway wood for mid to high handicappers. It's the kissing cousin of the 909 F3. Both of these clubs look beautiful at setup, but this F2 is much easier to swing. Uses for nitrogen: light bulbs, explosives, laughing gas... and now, golf clubs. If you are swinging over the top, this Acer 3 wood is going to fix it. How do they achieve this? All the Acer clubs have what they call an "Optical Alignment System." This makes the club appear square when it is closed. Here's a club I would put in the "Economy" category. You have to love Maxfli because they've been around forever and they make products that will allow everyone to play golf, no matter how tight your budget. 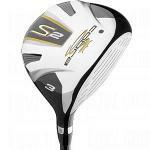 This Launcher DST Fairway Wood is designed to be light and long. In fact the Mitsubishi Diamana Red shaft is 43-1/2 inches and weighs 64 grams. 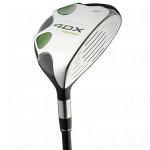 The clubhead is also very light with its 0.55-millimeter crown. The clubface is oversized and plasma-welded.